If you want to give yourself a gift, sow a seed of kindness and choose something special: any occasion is perfect for framing an emotion. 4 SOLUTIONS FOR 1 EVENT: YOURS! Designed for snapshots, Polaroids and your guests’ thoughts: snapshots from the Photo Booth or snap cameras, dedications, advice on how to face life together, anecdotes that link you all together, funny words or tear-jerkers. The Guest Book is made of an inner block in Materica Paper. Its spine is coated with a Curly Bracket-shaped decorative Canvas. 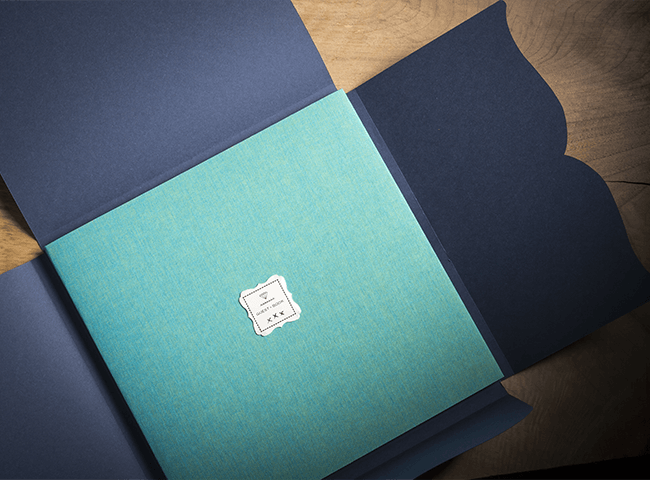 This shape is reused to create the book jacket also in canvas, forms the distinctive feature that underlines the uniqueness of these treasured moments. A small resin applique (label) on the cover completes the Look. 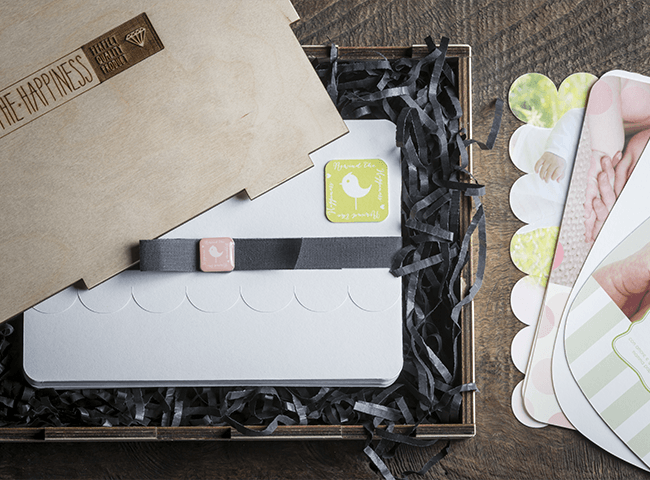 The Guest Book is then enclosed in a Wrap Box made from Materica Paper, the product’s leit motiv. Highly praised for its versatility and original design, it is just perfect for a huge number of occasions, and essential for all those times you want to form an instant footprint of the emotions felt at a particular point in life. A real must-have-gift! 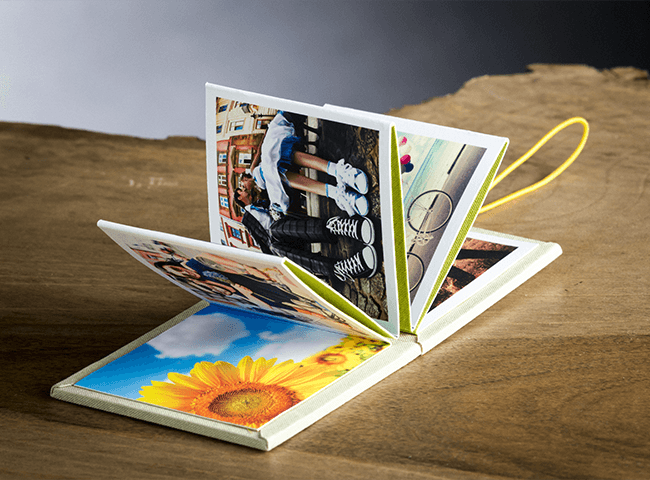 Mini Photo Albums are small books Fine Art printed with an accordion opening, made with canvas and closed by an elastic band. Perfect for all types of events, these are meant to be kept within hand’s reach: practical, lightweight and colourful, they’re a great gift idea for anyone who wants to surprise and amaze with an original and creative thought. 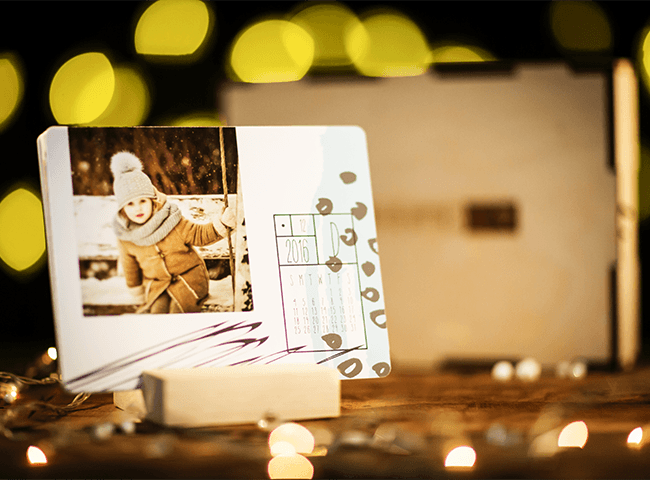 As with all our products, our Mini Albums are also handmade with the utmost care taken over details and a quality that makes us stand out from the crowd. All of our processing takes places at the company, and it’s the product of the job skills of our craftsmen: a small work in miniature for a product of amazing quality. Complete our template with 8 photos, the ones you find most representative, the ones you always want to have with you, the ones you love the most and wait to receive these small, but precious objects. 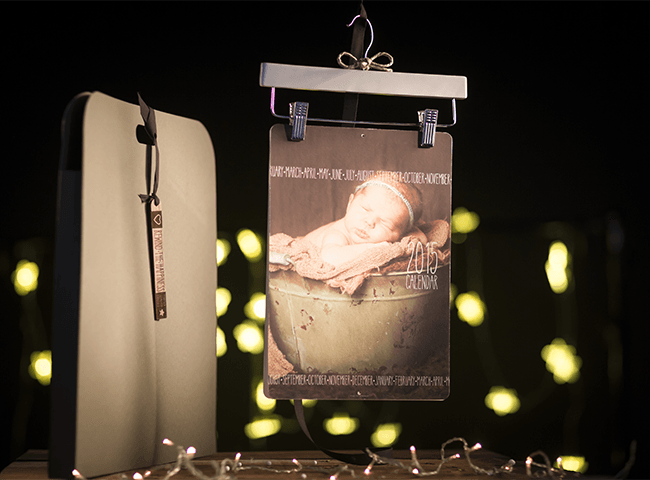 Use them as small wedding Gadgets to give to someone special, create one with your newborn’s photos, or simply make one as a gift for yourself with your own personal shooting! Did you ever try to count how many important moments in life there are, and how many of these you would really want to share? How could anyone even think of entrusting something so important to a text-message… that will simply vanish faster than the time it took to be sent. Is your love or the love you could be receiving really that fatuous? We feel everyone deserves a lot more. Leave a footprint and feel worshipped. We give substance to precious moments because time is for man, and not the reverse. Please, welcome our Cards Collection! A set of 12 rectangular-shaped Cards printed on both sides in Fine Art on a raised 100% Cotton Paper 225gr, individually cut into three different shapes, each completed with its own Materica paper envelope and a sticker to close it. Choose from the graphics created for various events like Baptism, Birthday or Birth, the one you love the most. If however, you need to fully express your creativity, download the template from the Download Area and create your own project. You can find also a wide range of graphic styles for Christmas, in a range of formats and perfect for all types of requirements: from the classic rectangular shapes 17.5 x 12,5 to the elegant 16.5 x 16.5 formats (also available in a quire version), to the original XL cards 24 x 10,5. One by one the postcards went on their way. You sent them to reach out to someone dear to you who was perhaps waiting nervously, to whom you made a promise… But what about you? Desk or Wall Calendars printed on both sides in Fine-Art on an outstanding 100% Cotton Paper 225gr with an original wrapping in Materica Paper that protect them during shipping. A perfect gift to give you or other people a wonderful New Year. Varied shapes and dimensions depending on the graphic identity you choose. Wall Calendars are generally supplied bound by a coloured elastic, but you can choose the less formal version with a steel Clip or the amusing Hanger. An original wrapping in Materica Paper protect them during shipping. Individually cut with rounded edges, they come with a small wooden support base to ease the browsing of the seven calendar’s sheets. You can choose between the rectangular shape, the elegant square form or the original XL format. 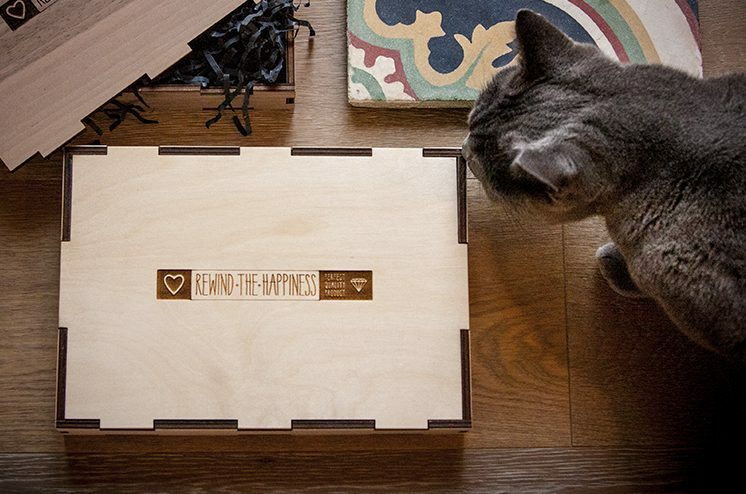 All our desk calendars come in a gracious birch-wooden box, a precious case to use over time. NB: A full set includes 2 identical Calendars with respective boxes.